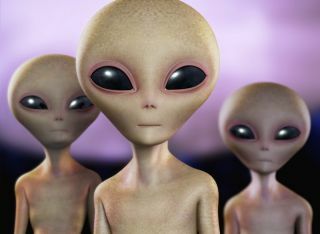 We often imagine intelligent aliens to be humanoid, but this is unlikely for a number of reasons. The development of true, strong artificial intelligence (AI) is therefore not too far off, experts have said. The famous futurist Ray Kurzweil, for example, has pegged 2045 as the year this world-changing "singularity" will hit. "But maybe it takes to 2100, or 2150, or 2250. It doesn't matter," Shostak said in September during a presentation at the Dent:Space conference in San Francisco. "The point is, any society that invents radio, so we can hear them, within a few centuries, they've invented their successors. And I think that's important, because the successors are machines." AI will interface with people's bodies for a while, but eventually humans will abandon the wetware and go fully digital, Shostak predicted. "It'll be like — you build a four-cylinder engine. You put it in a horse to get a faster horse. And pretty soon you say, 'Look, let's get rid of the horse part and just build a Maserati,'" said Shostak, an astronomer at the Search for Extraterrestrial Intelligence (SETI) Institute in Mountain View, California. "So that's probably what's going to happen." Humans' machine selves will get smarter and more capable incredibly quickly, he added. Humanity's present intelligence is the result of 4 billion years of Darwinian evolution, which uses random variation as its raw material and is not directed toward any particular goal. But the evolution of machine intelligence will be engineered and efficient, Shostak said. "Once you invent a thinking machine, you say, 'Invent something better than you are,' and you build that. 'Design something better than you are,' and you build that, and so forth," he said. This idea has serious implications for the search for intelligent alien life. Unlike Earth organisms, super-advanced extraterrestrial machines would not require water or other chemicals to survive, so they would not be tied to their ancestors' home worlds tightly at all, Shostak said. And journeying tremendous distances would not be a big deal to these machines, provided they could access enough energy and raw materials to keep repairing themselves over the millennia, he said. "We continue to look in the directions of star systems that we think have habitable words, that have planets where biology could cook up and eventually turn into something clever like you guys," he told the Dent:Space audience. "But I don't think it's going to be that way." Shostak said he isn't counseling his fellow SETI astronomers to stop investigating potentially Earth-like planets such as Proxima b, a recently discovered world that lies just 4.2 light-years away. (And simple life-forms could still inhabit such worlds even if their most intelligent inhabitants went digital and departed long ago, Shostak said.) But it may be a good idea to expand the search to regions of space that would seemingly be attractive to digital life-forms, he said — for example, places with lots of available energy, such as the centers of galaxies. "That may be where the really clever beings are," Shostak said. "Maybe what we ought to do is look at places on the sky that connect two places where there is a lot of energy," in an attempt to intercept communications between alien machines, Shostak added. "This is my message to you: We're looking for analogues of ourselves, but I don't know that that's the majority of the intelligence in the universe," Shostak concluded. "I'm willing to bet it's not."